After you have your baby, you will lose a little weight right away. After that, weight loss varies from woman to woman. Most women worry about not being able to lose all the weight they gain. But, for some women, the pounds just melt off. 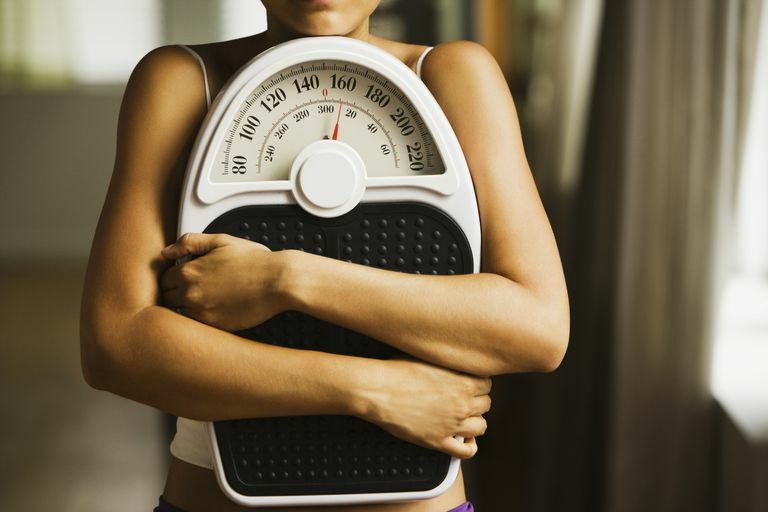 How much weight should you lose, and what happens if you lose too much weight too quickly? How Much Weight Do You Lose After You Have a Baby? Immediately after your baby is born, you will lose about 10 to 12 pounds. That's a combination of your newborn's weight plus the placenta and the amniotic fluid. Then, during the next few days, you will lose about five more pounds of water weight. After that, it's normal and healthy to lose approximately two pounds a month for the next six months. If you choose to breastfeed, it may help you to lose weight and return to your pre-pregnancy body more quickly than if you don't breastfeed. The hormones that your body releases when you breastfeed cause muscle contractions in your uterus. So, each time you breastfeed your baby, your uterus contracts and shrinks down. By six weeks after childbirth, your uterus will be back to the size it was before you became pregnant and your belly will look much slimmer. Breastfeeding also uses up calories. It takes about 500 extra calories a day to make breast milk. You get those extra calories from the foods that you eat every day and the fat that is already stored in your body. Using up those fat stores helps you to lose that pregnancy weight faster. What If You Lose too Much Weight? Losing too much weight too quickly is not good for you or your baby. Excessive postpartum weight loss can leave you feeling exhausted and run down. You may also end up with a low breast milk supply or with breast milk that's lacking in the nutrients that your baby needs. Excessive postpartum weight loss can be brought on by something within your control, or by a medical issue that you can't control. Here are three reasons why you may be losing too much weight and what you can do about them. You might not be getting enough calories: It takes a good amount of energy to breastfeed and make a healthy supply of breast milk. To get that energy, you need to eat. It's not healthy to go on a diet, take diet pills, or cut the number of calories that you take in each day. Instead, make sure that you're eating a variety of healthy foods to provide you with all the calories and nutrients that you need. You could be overdoing it: Moms do a lot. Between taking care of a new baby, other children, and a home, it's easy to get caught up in all you have to do and forget about taking care of yourself. If you're losing too much weight, take a minute to think about how much you're doing. It's so important to take the time to eat right, drink plenty of fluids, and get enough rest. You may have an overactive thyroid gland: Postpartum hyperthyroidism is a health condition that can cause excessive weight loss, shakiness, palpitations, difficulty sleeping, restlessness, eye problems, exhaustion, and an overabundant supply of breast milk. If you are experiencing any of these symptoms and think you may have an overactive thyroid, call your doctor. There are treatment options that are safe for breastfeeding mothers. If you're worried about losing too much weight, contact your doctor. Depending on your weight before you become pregnant, how much weight you gained during your pregnancy and your overall health, the doctor can let you know how much weight loss is healthy for your situation. Your doctor can also run tests to see if there's a medical issue.